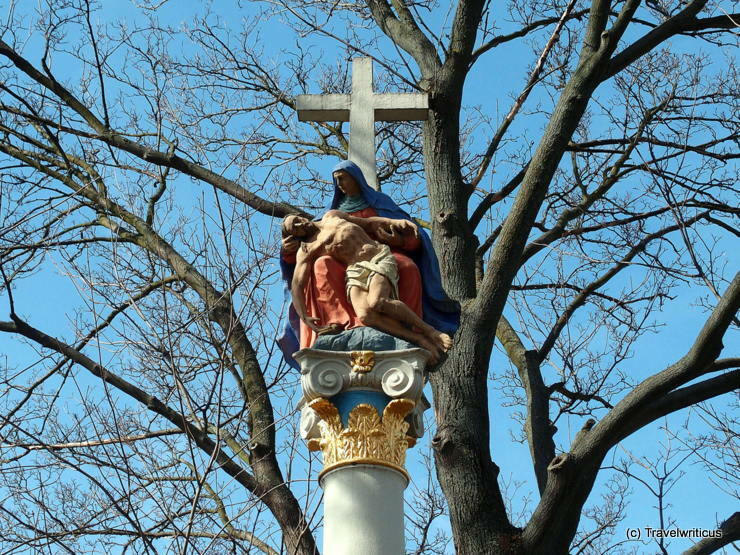 The ‘Blaue Kreuz‘ (Blue Cross) is a colourful piety column in Kittsee, a small place in the Austrian state of Burgenland. The column is dated 1752 and displays a Pietà. 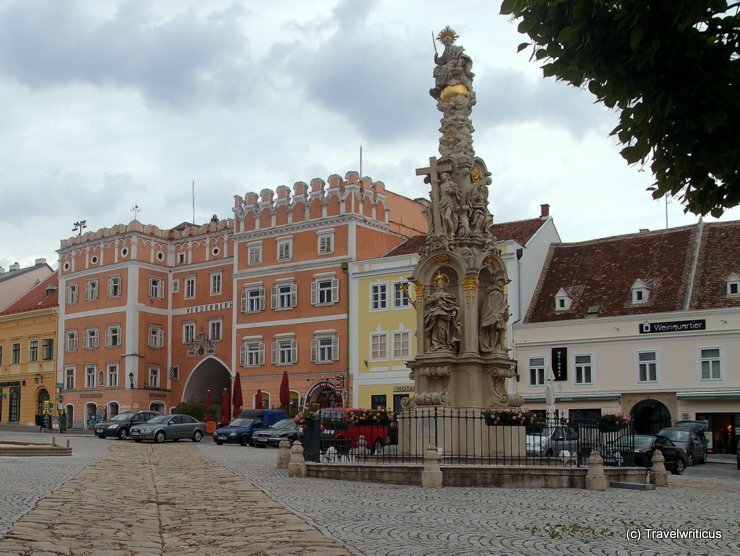 A view of the Holy Trinity column (German: Dreifaltigkeitssäule) at the central square of Retz. The column was built in the years 1743 – 1745. In the background one can see the Verderber – Haus.